Brighten up Your Front Door with Our 28" Big House Bows! 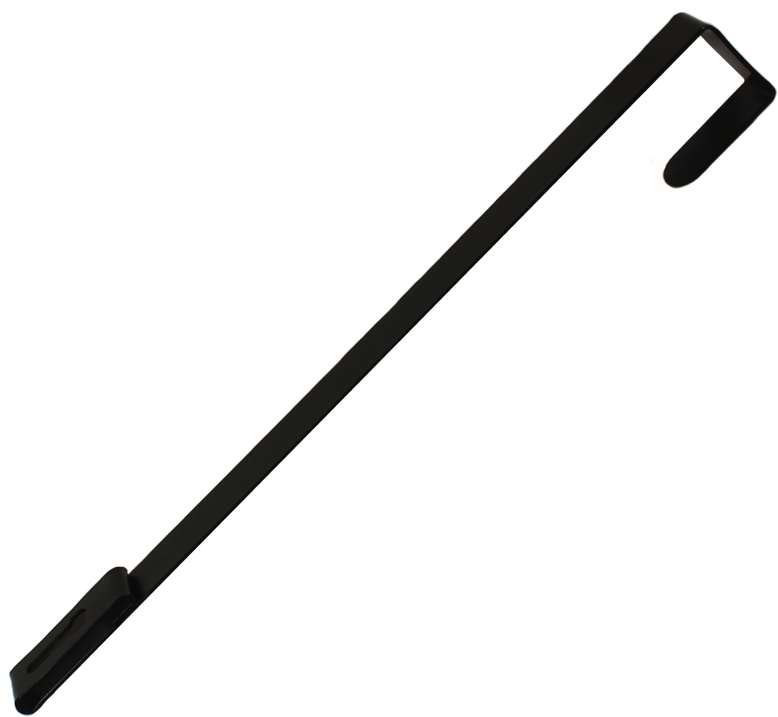 We engineered our 28 inch bow specifically for use on front doors. 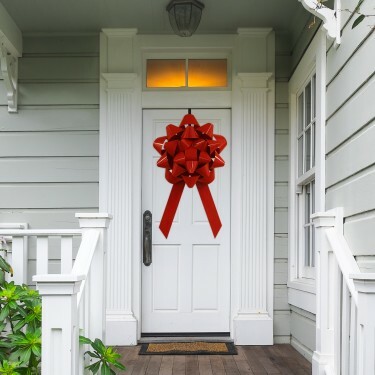 This HUGE bow features an original extremely rigid tight-loop construction that we developed so that it will hold up on your front door for years to come without sagging or flopping. There is no other bow like this on the market! These bows are designed to resemble the small gift bows that are sold at big-box stores and are popularly used on gifts throughout the United States. 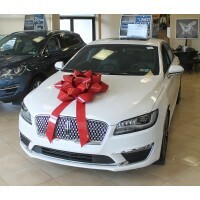 This bow will create the quintessential look that people are looking for. Our Big Front Door Bow Kits include one 28" giant bow finished with special mounting hardware and a heavy duty iron door hanger which slides over the top of any standard 3/4" door. Decorate your front door, office door, or your entire real estate development! Whether you are a homeowner, real estate agent, or developer, this bow will brighten up your property. This big bow for a door measures 28" diameter with two 30" long tails and is designed to be used either indoor or outdoors. The bow is constructed from high quality weather resistant/waterproof vinyl. Available in 4 colors: Blue, Green, Red, & White. Large volume Real Estate Agents & Real Estate Developers: Please contact us for quantity discounts on bulk orders. 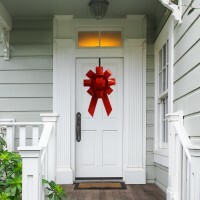 Finally a way to hang a giant bow on a front door without causing damage!